Despite of all alerts about women under-weight in magazines, we can see that not much changed. Top Models are still underweight and some of them might also get serious health problems if they remain at that level of weight. 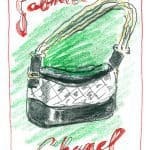 We can see that most of feminine-fashion-lifestyle magazines are run by women, which make a complete non-sense when you see what kind of women are displayed in the glossy pages of those magazines. You can see more details about it in a previous article we wrote, just click here. In order to show you how worrying the situation is, we took 10 current top models, and calculated their BMI (Body Mass Index). This will give us a clear idea of how badly nourish are these top models. 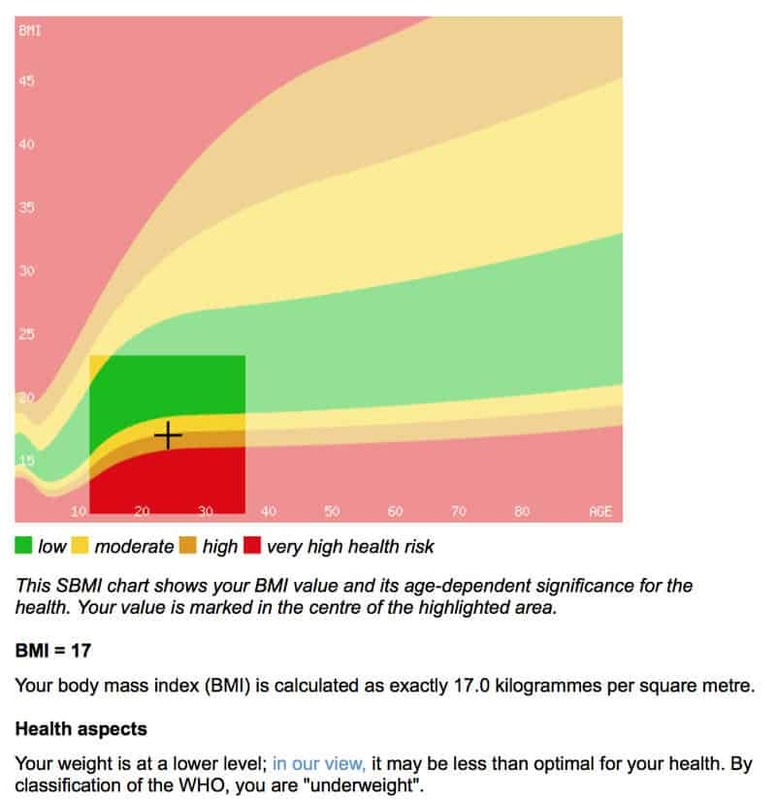 The body mass index (BMI) or Quetelet index is a value derived from the mass (weight) and height of an individual. 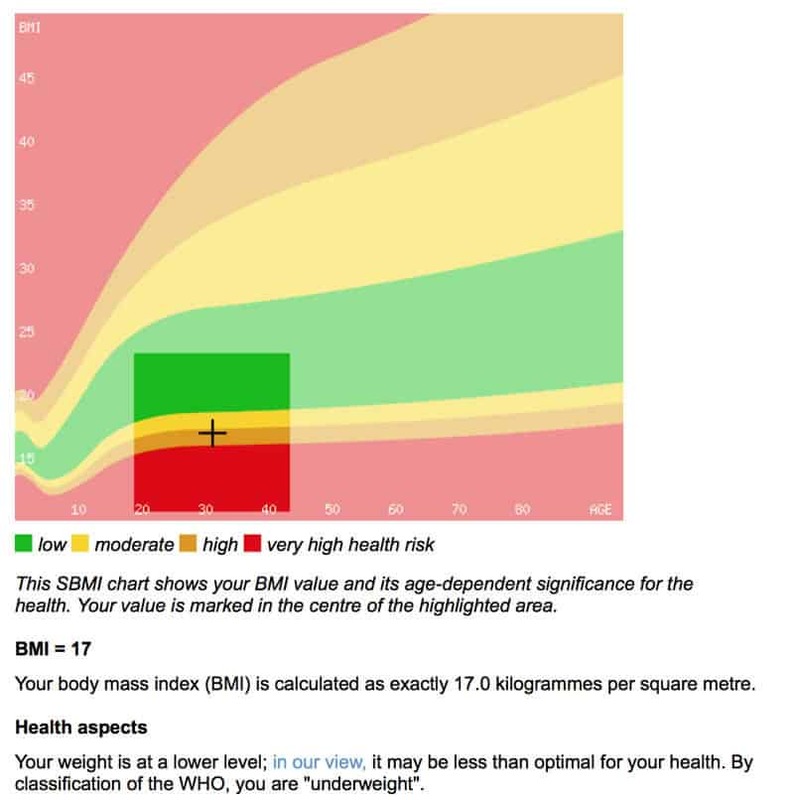 The BMI is an attempt to quantify the amount of tissue mass (muscle, fat, and bone) in an individual, and then categorize that person as underweight, normal weight, overweight, or obese based on that value. 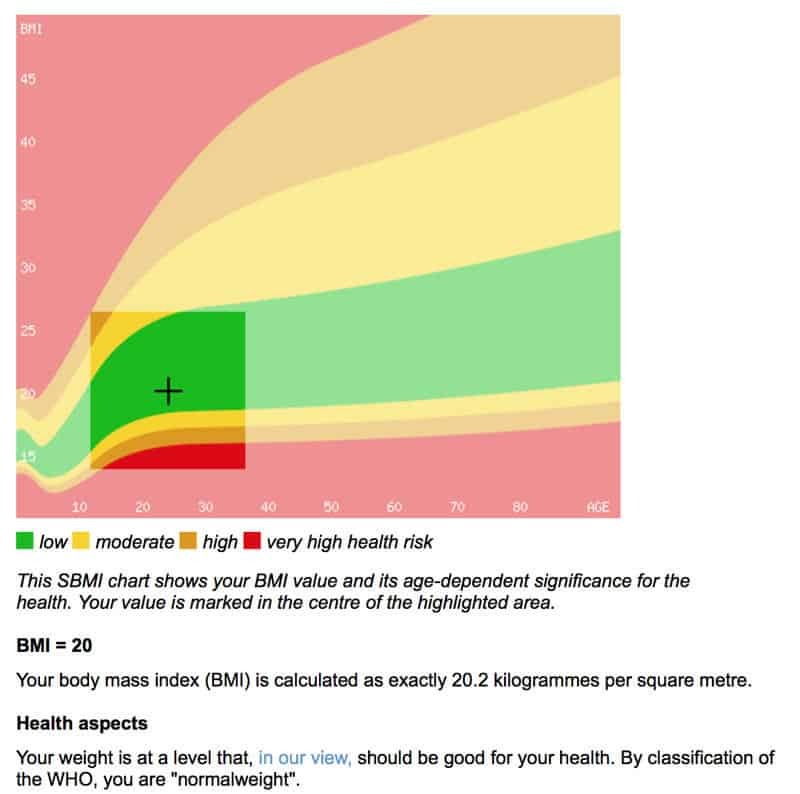 However, there is some debate about where on the BMI scale the dividing lines between categories should be placed. 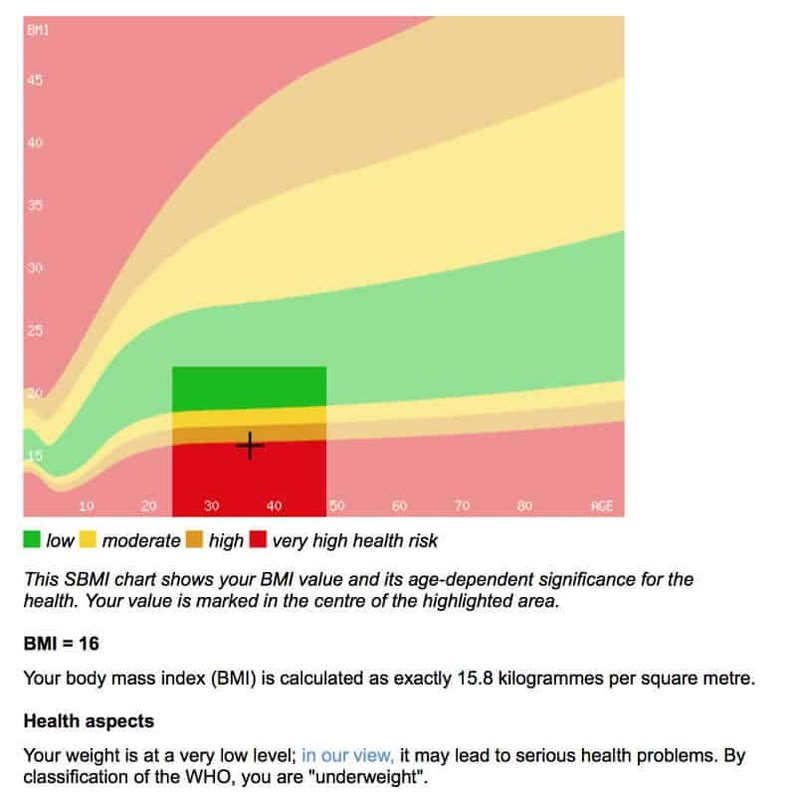 Commonly accepted BMI ranges are underweight: under 18.5 kg/m2, normal weight: 18.5 to 25, overweight: 25 to 30, obese: over 30. Adriana Lima is one the top Brazilian models, cat walking for fashion brands, being cover-girl for many magazines around the world and her face is everywhere. Alessandra Ambrosio is one of the top models today, one of the egeries for Victoria Secret. She is the cover of several magazines. As we can see with what follows, she is also in a critical body mass index. Kendall Jenner is an American fashion model and television personality. Originally known for appearing in the E! reality television show Keeping Up with the Kardashians, Jenner is now also a model in a movement dubbed “the Instagirl era” by Vogue magazine, or “Social Media Modeling” by Harper’s Bazaar, where models are chosen due to their online presence and social media following. Miranda Kerr is an Australian model. She rose to prominence in 2007 as one of the Victoria’s Secret Angels. She was the first Australian Victoria’s Secret model. Miranda Kerr began modelling in the fashion industry when she was 13, winning the 1997 Dolly magazine model search competition. Since 2008, Kerr has consistently ranked on the Forbes list of highest earning models. Her BMI is only 17, which can cause severe health problems. Cara Delevingne is an English fashion model and actress. Delevingne won the “Model of the Year” award at the British Fashion Awards in 2012 and 2014 and has appeared in shows for houses including Burberry, Mulberry, Dolce & Gabbana, and Jason Wu. She started her acting career with a minor role in the 2012 film adaptation of Anna Karenina. Her first major role was as Margo Roth Spiegelman in the romantic mystery film Paper Towns (2015), Kath Talent in London Fields, and co-starred as the main antagonist Enchantress in the comic book film Suicide Squad (2016). Karlie Elizabeth Kloss is an American fashion model. Vogue Paris declared her one of the top 30 models of the 2000s. She was a Victoria’s Secret Angel from 2013 to 2015. Doutzen Kroes is a Dutch Frisian model and actress. She began her modelling career in 2003 in the Netherlands and quickly was sent by her agency to New York where she was cast by lingerie giant Victoria’s Secret. She became a Victoria’s Secret Angel for the brand in 2008. She has been a brand ambassador and spokesperson for L’Oréal Paris for over 5 years. Bella Hadid is an American fashion model, signed to IMG Models in 2014. In December 2016, the Industry voted her “Model of the Year” for Model.com’s Model of the Year 2016 Awards. Skinny although it would be fine for her health. “Gigi” Hadid is an American fashion model. She was signed to IMG Models in 2013. In November 2014, Hadid made her debut in the Top 50 Models ranking at Models.com. In 2016, she was named International Model of the Year by the British Fashion Council. Kate Upton is an American model and actress, known for her appearances in the Sports Illustrated Swimsuit Issue. Upton was named Rookie of the Year following her first appearance in 2011, and was the cover model for the 2012 and 2013 issues. She was also the subject of the 100th-anniversary Vanity Fair cover. She is beautiful and has a normal weight BMI. She should be seen as a normal reference of healthy and beautiful femininity. 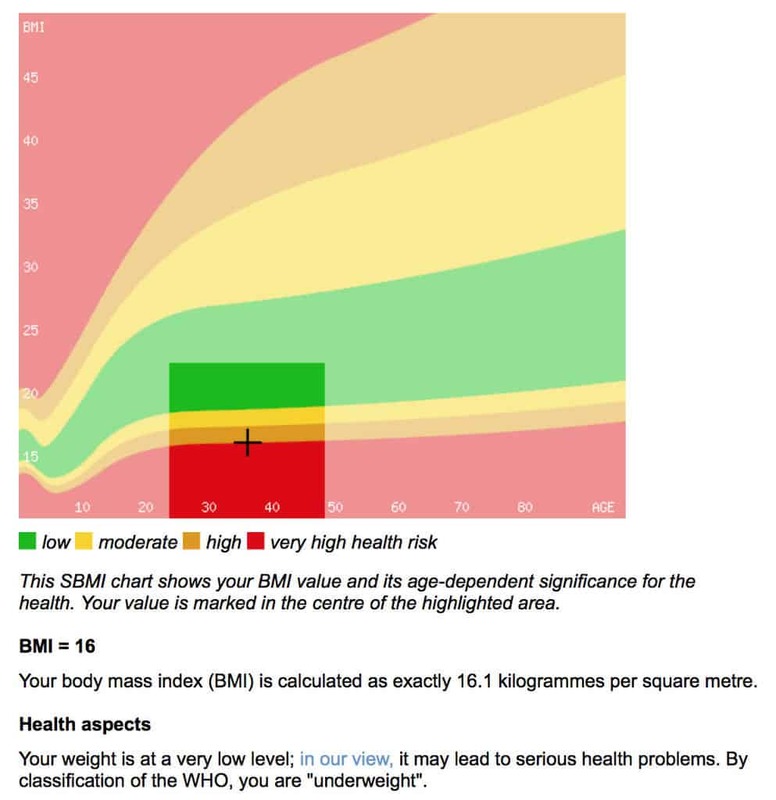 What could happen to people being under-weight? Those who are underweight are not taking in enough nutrients through their diets. Being underweight can decrease the body’s ability to absorb essential nutrients, such as amino acids, vitamins, and minerals. Improper absorption of vitamin D and calcium can increase the risk of developing osteoporosis, while abnormal iron absorption can lead to iron-deficiency anemia. Not getting enough nutrients can also lead to hair loss and muscle wasting. People who are underweight are more likely to get sick and develop infections than people of a healthy weight, according to registered dietitian Elena Blanco-Schumacher in an article in Today’s Dietitian in 2008. This is because being underweight is often associated with a compromised immune system. According to a study published in The New England Journal of Medicine, a lower BMI may also increase the risk of developing respiratory problems, like lung disease. The study looked at BMIs in Korean men and women and found that the risk of death from respiratory diseases is higher in those with low BMIs. 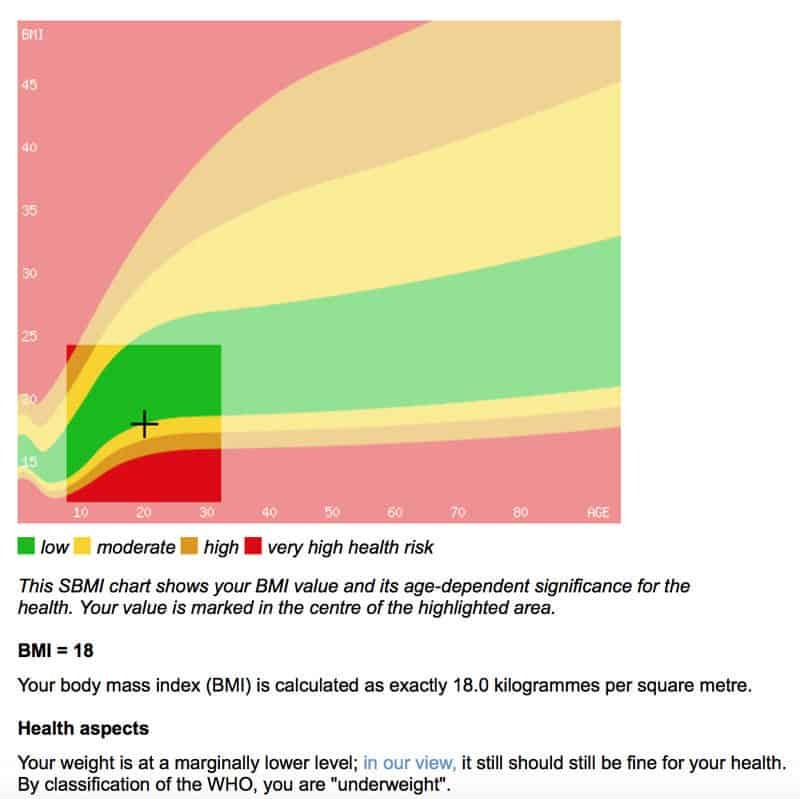 Here is a comparison between a very low BMI and a normal BMI. The comparison is outstanding. There are several women with a high BMI who are beautiful and could be seen as a reference to femininity. Brands and magazines should feel responsible for the kind of image they show as this image can be taken as a comparison point by millions of young girls. Shame. Info sourced on colchide.com, smartbmicalculator.com, wikipedia, Time, Forbes. All content is copyrighted with no reproduction rights available. Images are for illustration purposes only.